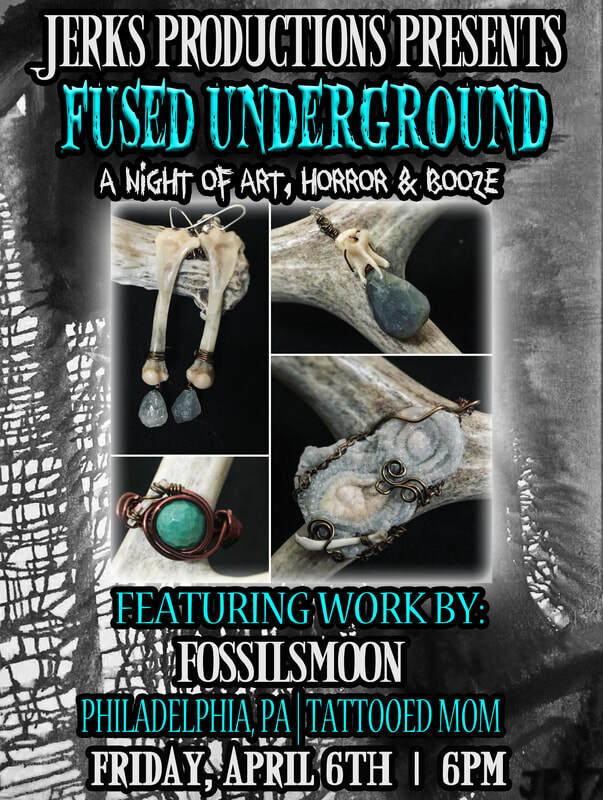 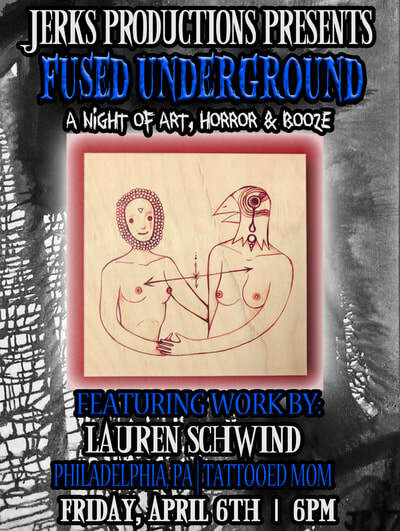 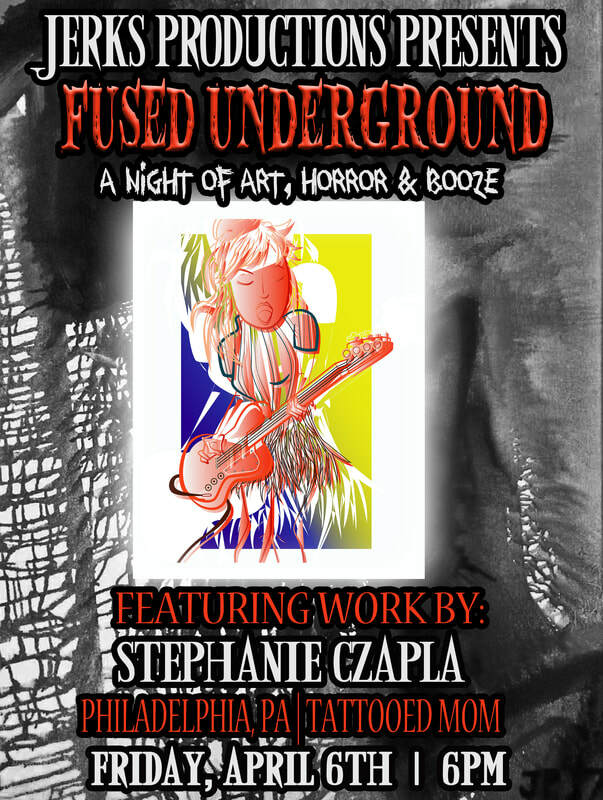 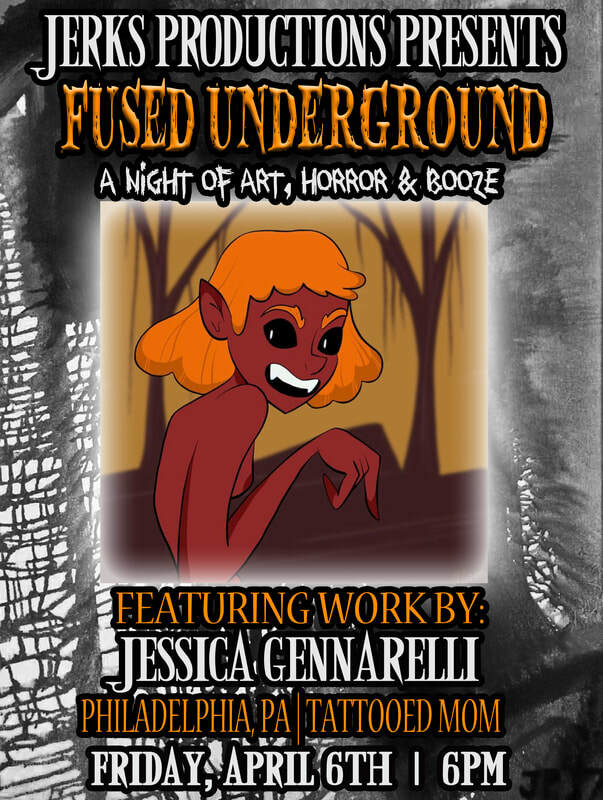 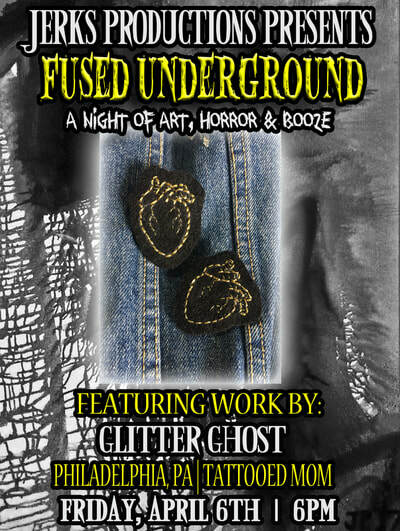 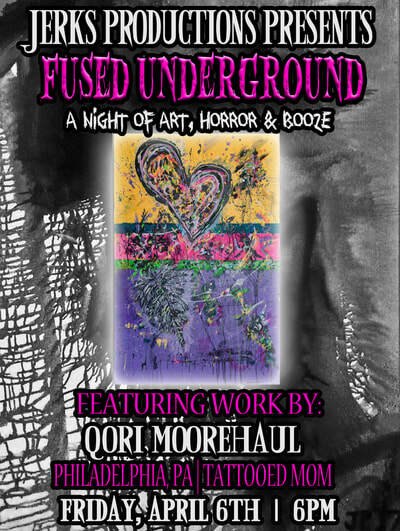 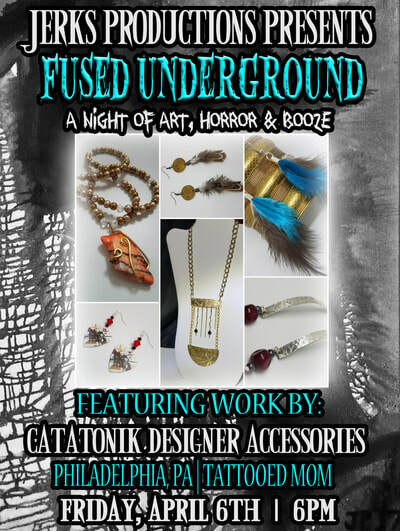 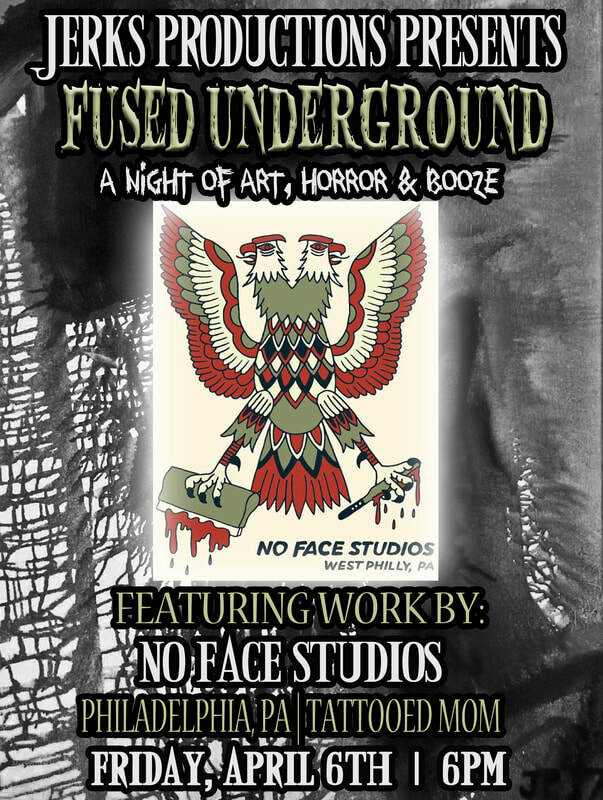 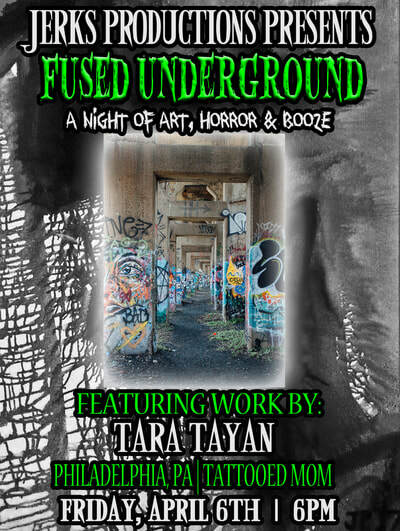 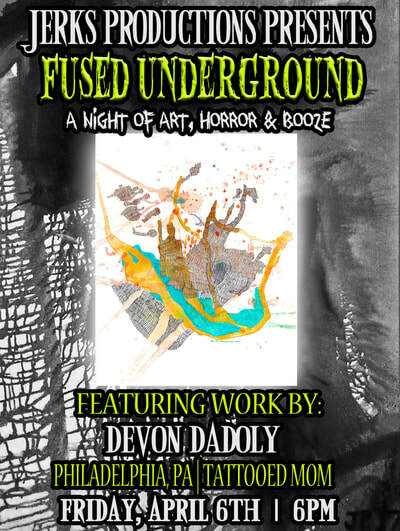 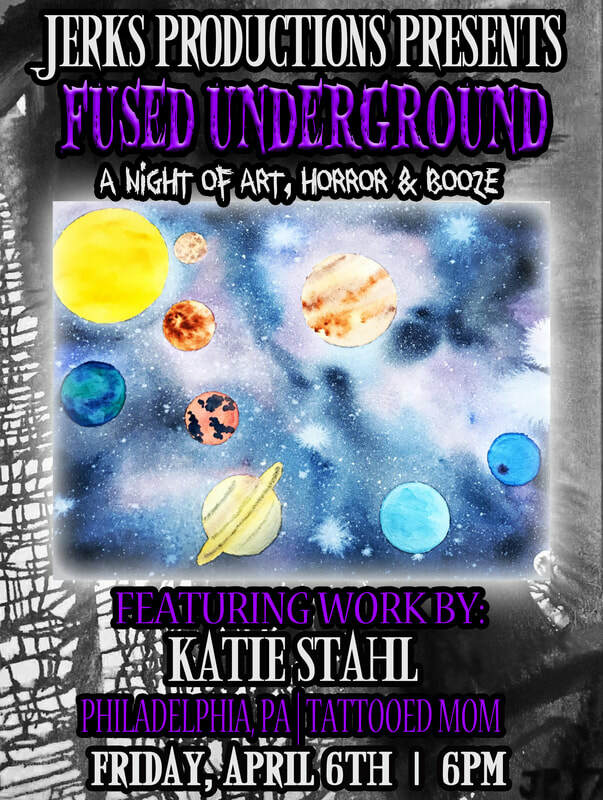 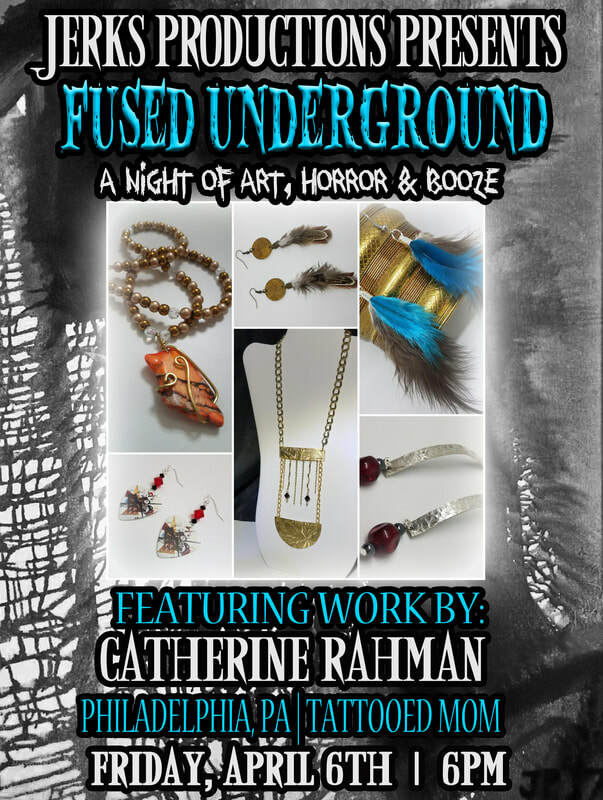 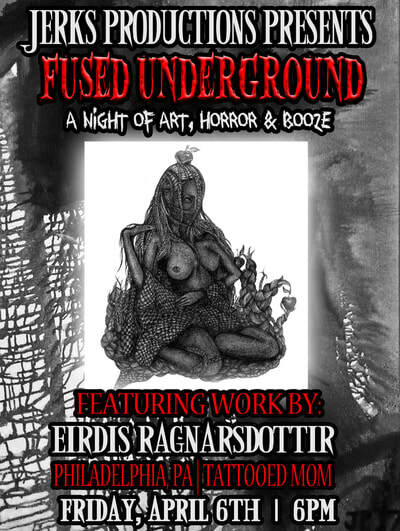 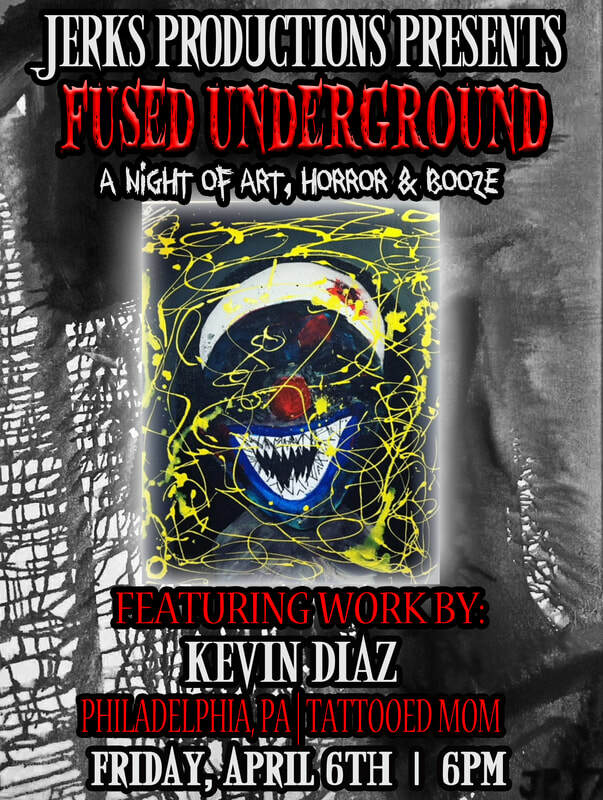 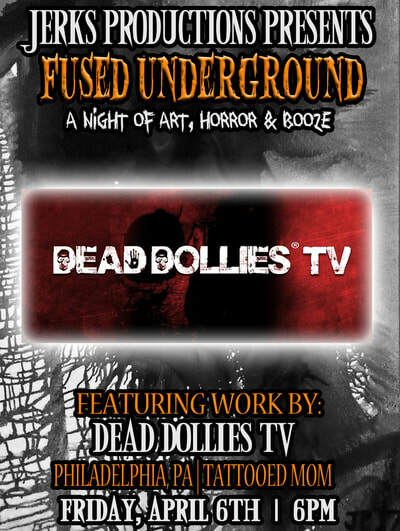 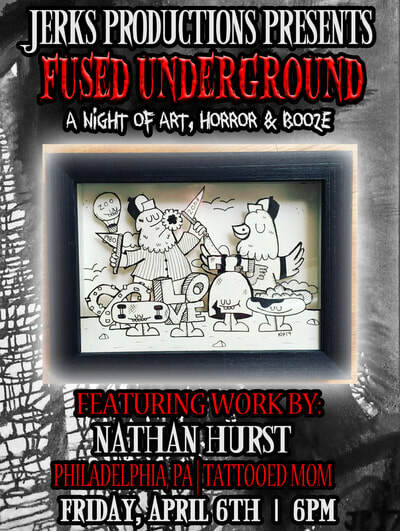 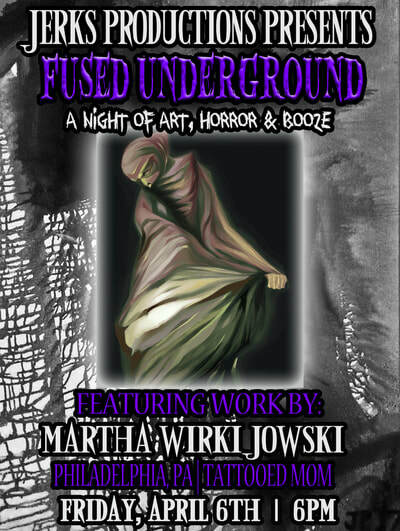 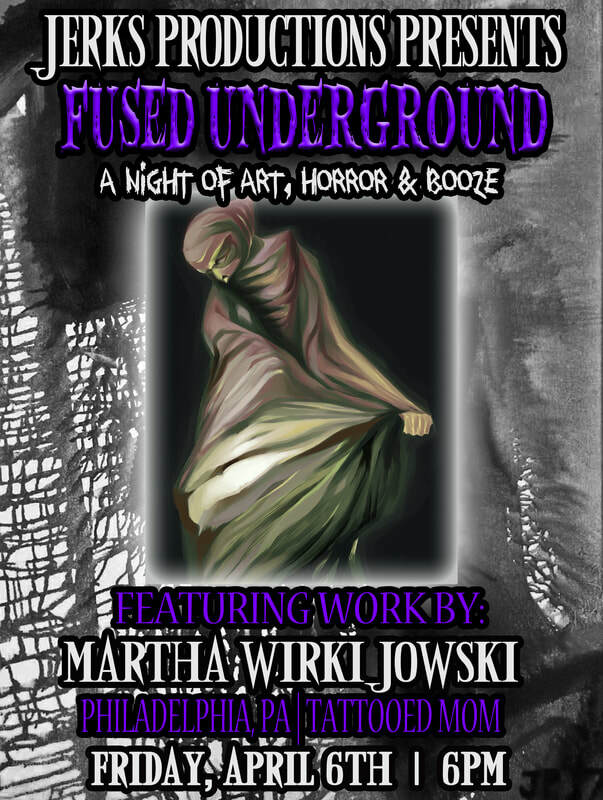 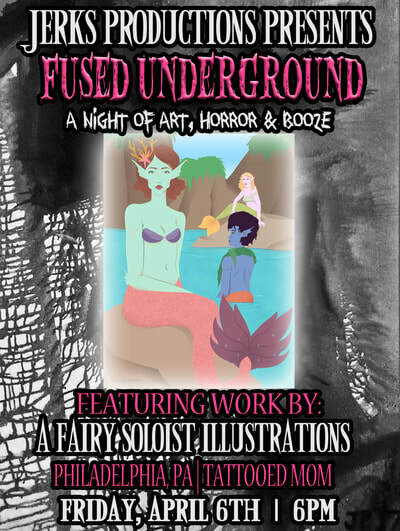 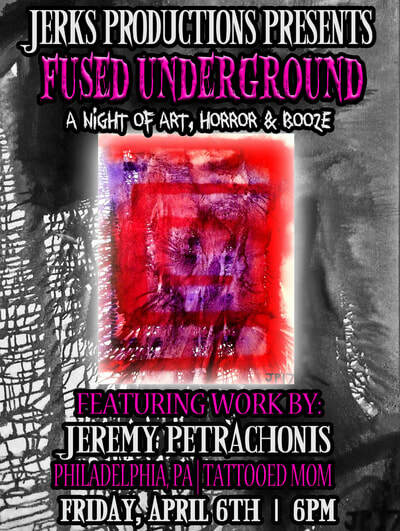 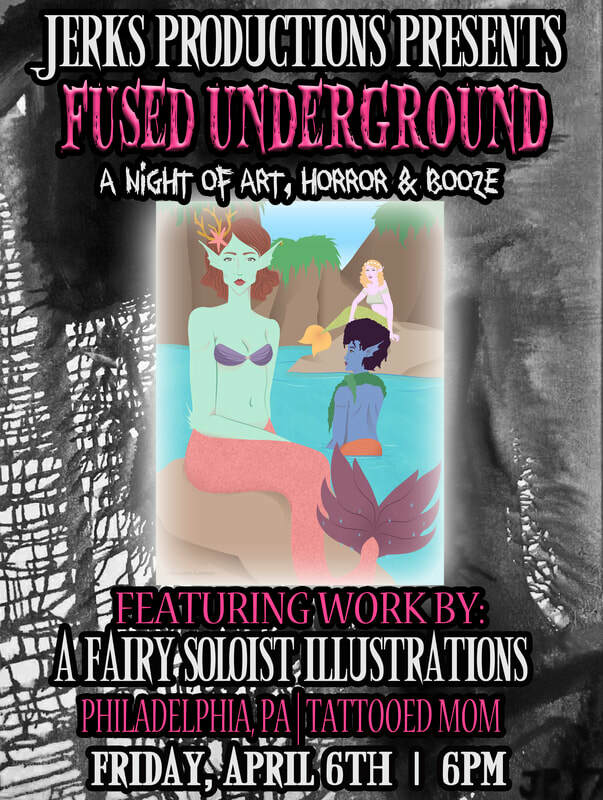 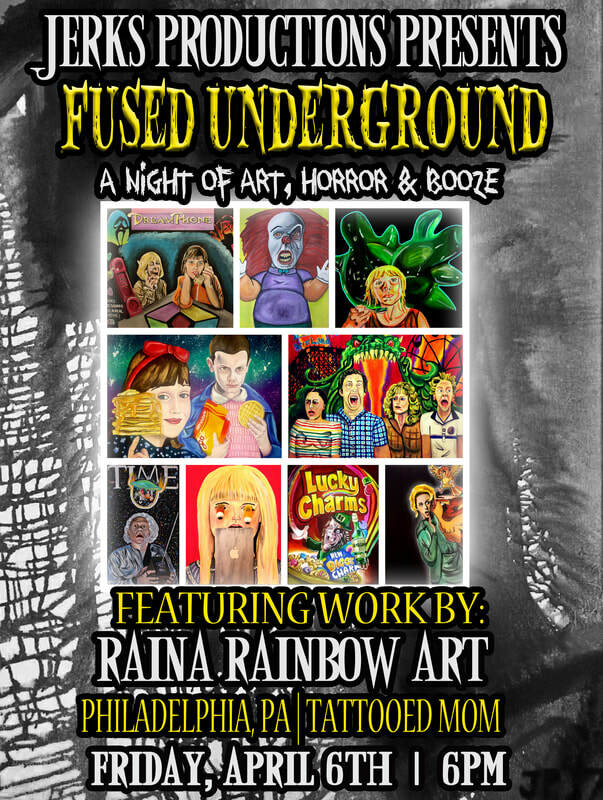 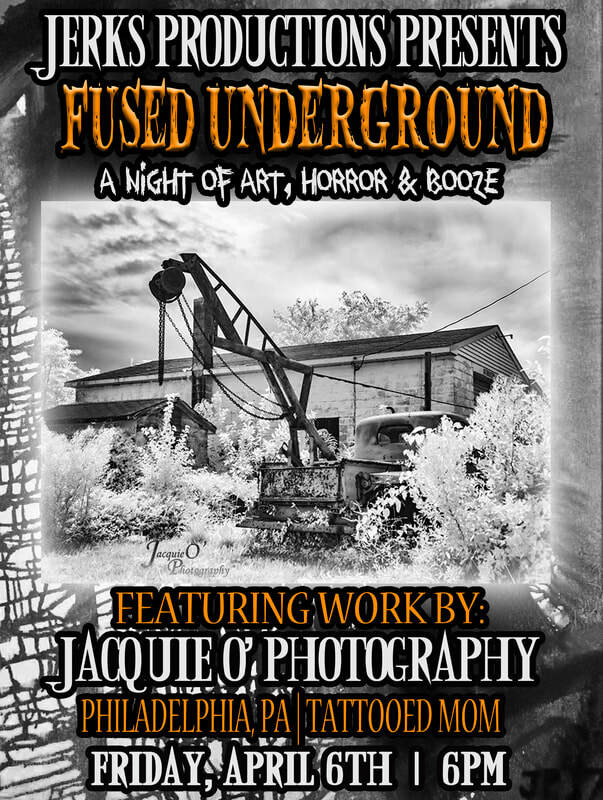 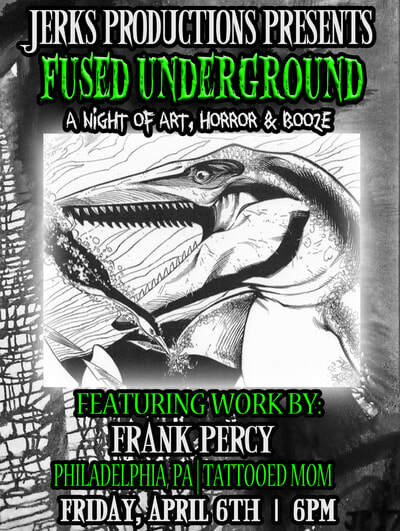 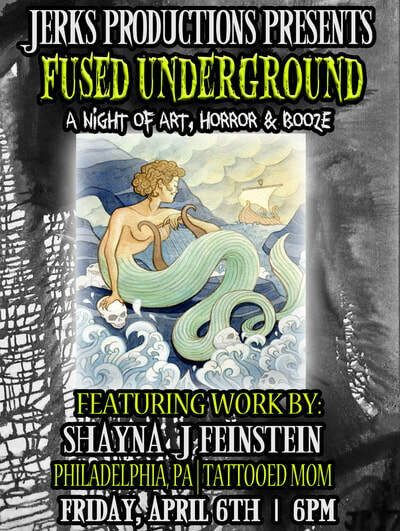 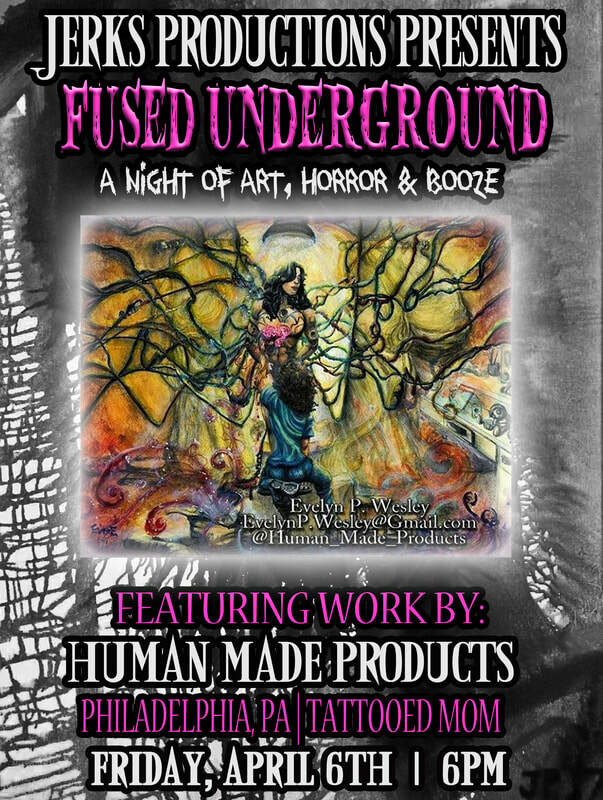 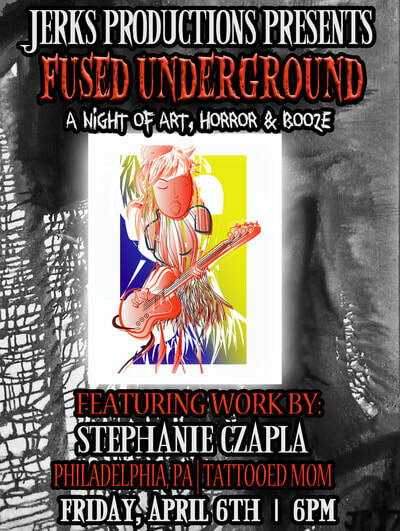 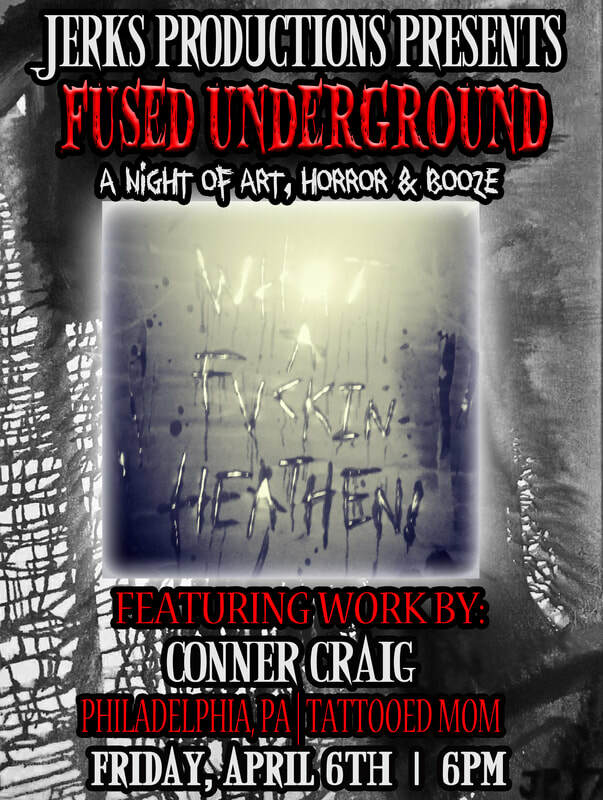 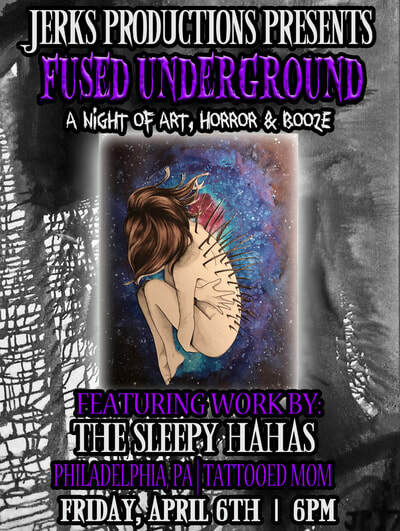 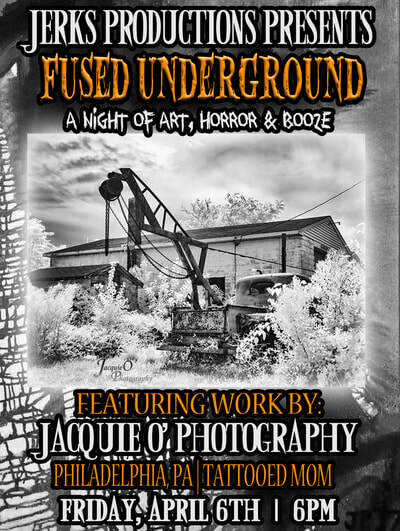 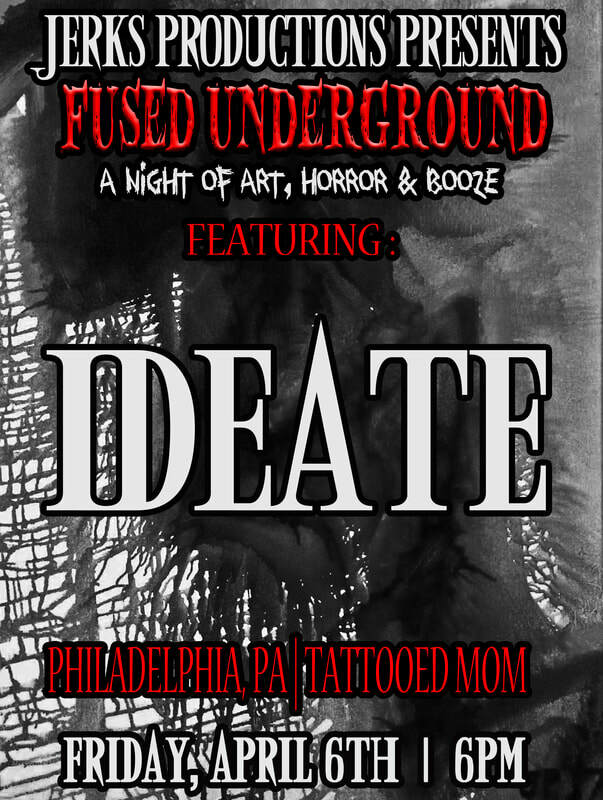 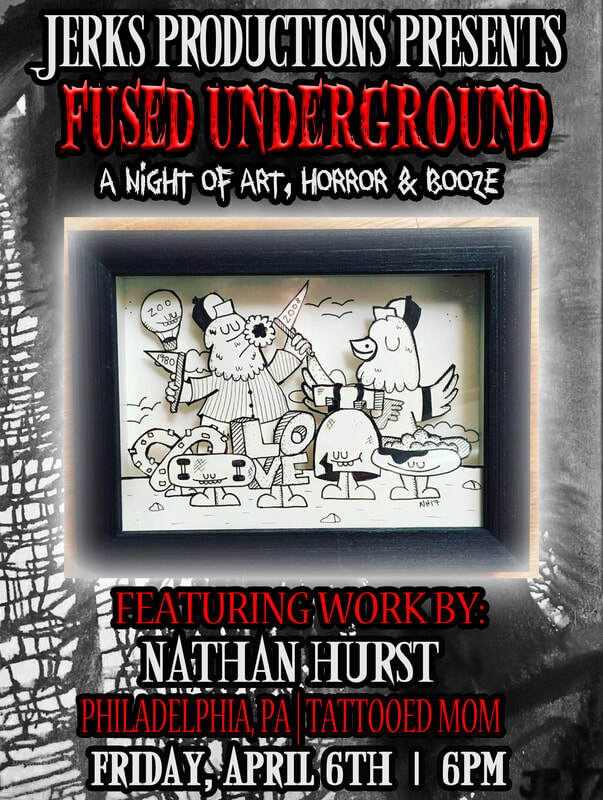 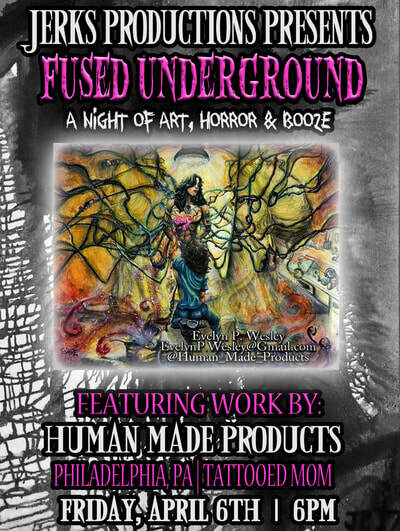 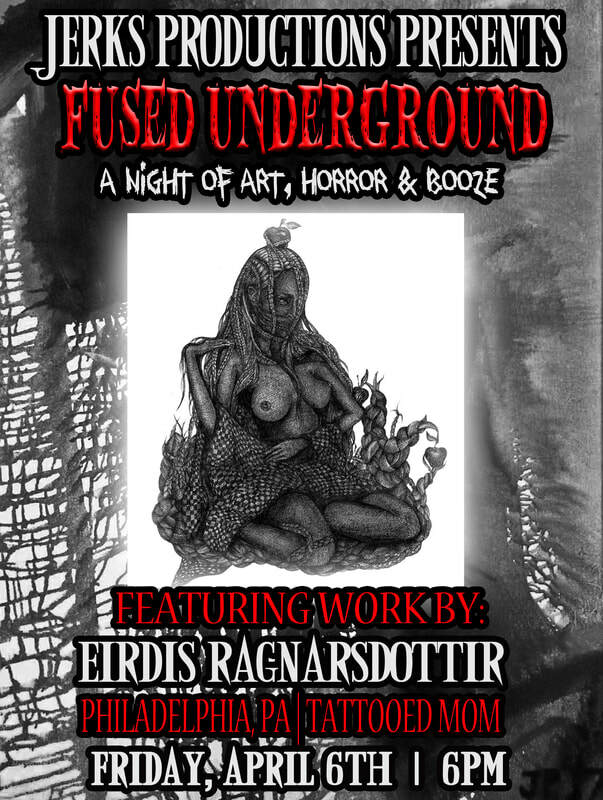 ﻿Fused Underground is a night of art booze and horror that is run by our Producer/Make-Up Artist, Jill Trager. She gathers artists from around the tri-state area and brings them all together for a special night to showcase their work, network with other artists and gather in a social setting to have a good time. 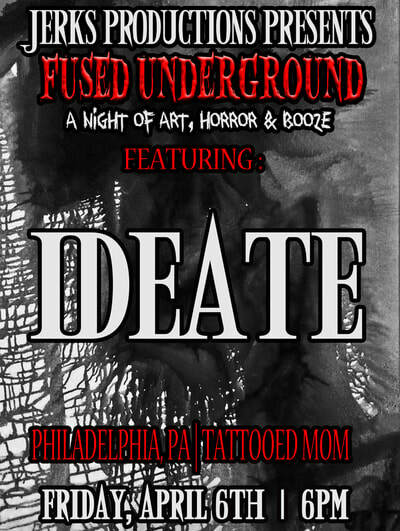 ﻿Fused Underground is held at our second home Tattooed Mom. 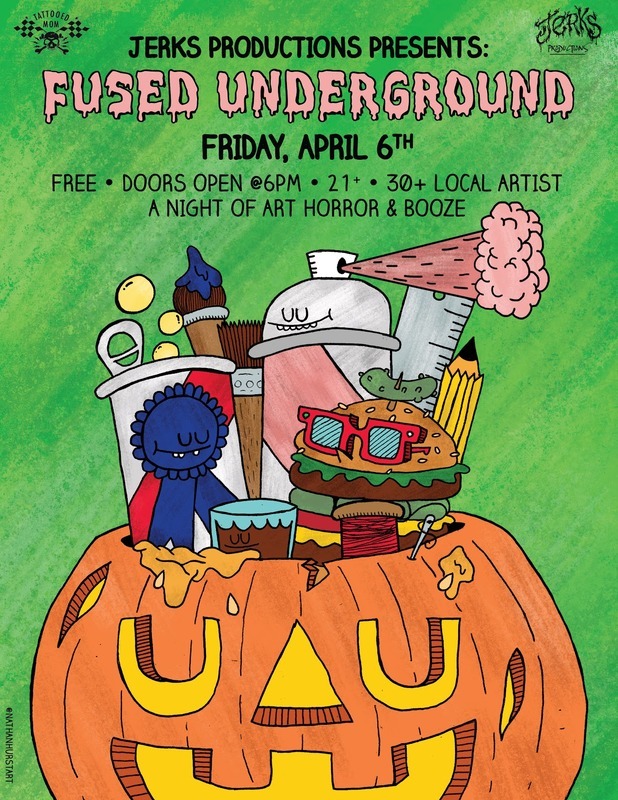 All shows are free to enter and 21+. 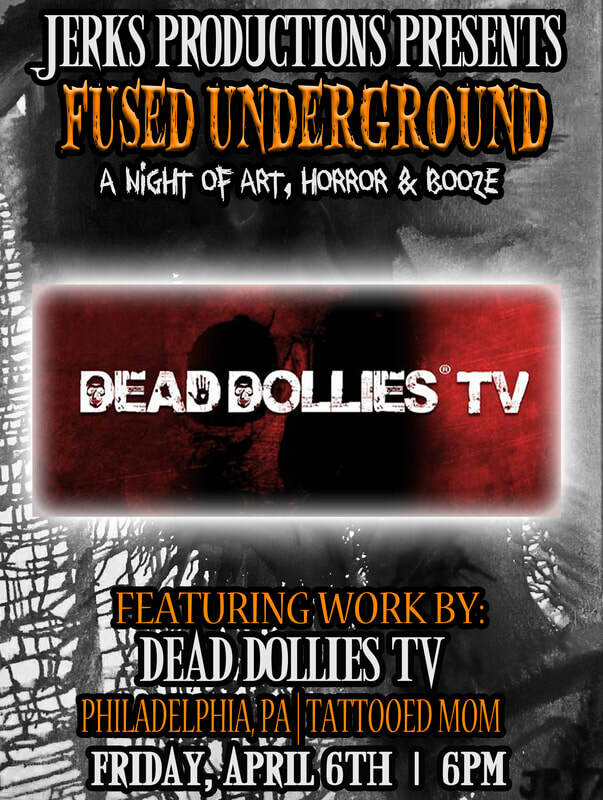 We end the night screening our latest project. 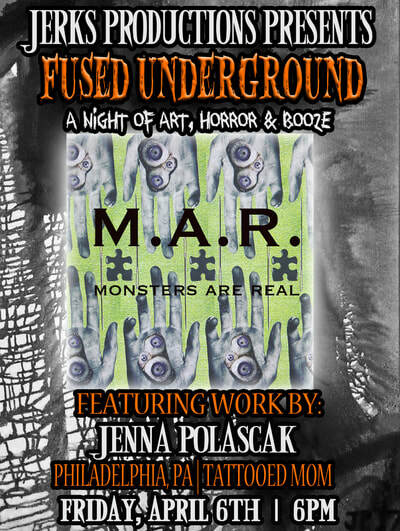 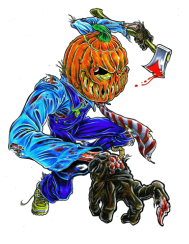 So be sure to come out and enjoy free fun, drinks and get scared!